Learning at Four Rivers gives students experiences through which they learn about themselves and prepare to make a difference in the world. Watch this video and explore our website to learn more. 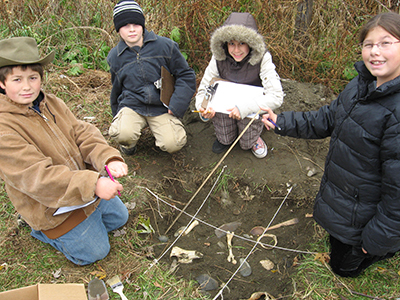 The School Portfolio is a collection of artifacts, evidence, and explainations of student learning at Four Rivers. The 3 catagories below reflect the key domains of learning outcomes. "Students are encouraged to think for themselves and to look at things from a variety of angles."